We will be in touch about your trip soon. If you don\'t hear from us within a couple of days, please give us a call back. Technology sometimes fails and we would hate for you to miss the info. Oops, there seems to be a problem on our end! Please close this window and call our toll-free number to speak with a real person. Get this trip plan customized to cover everything you want to see. Learn which places to go and which areas are best during certain times of the year. On this week-long adventure, you’ll journey to Churchill, Manitoba – one of the top three places in the world to see the Northern Lights. View the mystical Aurora from a cozy Tundra Buggy in the deep dark of an arctic winter. 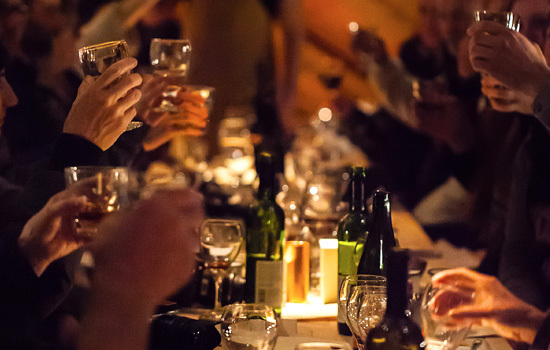 Enjoy a culinary adventure under the stars, interpretive tours, and guided winter activities. Think of this itinerary as just a starting point. Our experienced Canadian Insiders will create a personalized experience for you that matches your schedule, travel style and budget. Winnipeg is considered Canada’s cultural capital. If you arrive early enough, you can walk from your hotel to experience Winnipeg’s new Museum of Human Rights, or simply explore the charming Forks Market. Tonight, you’ll meet your group and tour leader, and enjoy a hearty welcome dinner. Today will set the stage for your journey north. 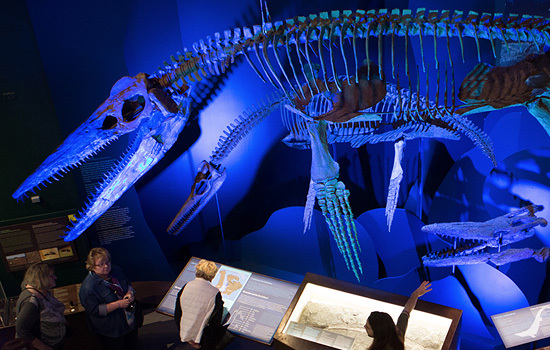 Learn about Canada’s Inuit culture, as you tour the Manitoba Museum on an interactive program. Then at the Planetarium, you’ll tour the night sky on a guided “nature walk” of the stars, current constellations, planets, and northern lights. After an early morning flight, you’ll touch down in the historic northern community of Churchill accessible only by air or rail. Enjoy a guided bus tour of local and historical points of interest, plus a visit to the Itsanitaq Museum, which houses one of the most extensive Inuit art collection in the world. Before your first evening of aurora viewing, hone your skills on a photography workshop. 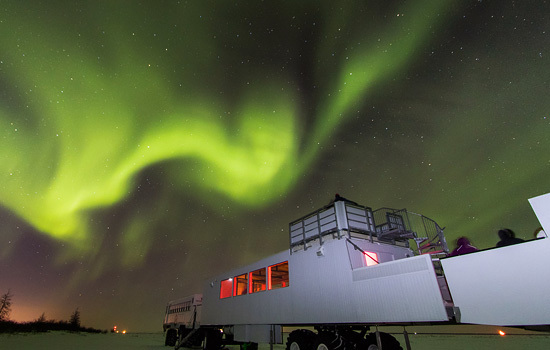 Once settled onboard the cozy Tundra Buggy Lodge, surrounded by the deep darkness of an arctic winter, you’ll catch your first glimpse of the Lights as they begin to dance overhead. Churchill is considered one of the 3 best places in the world to see the Northern Lights, with an average of 300 nights of Aurora activity per year. The colour can vary from a haunting, brilliant green, to a rainbow of violet, blue, red, and yellow. To ensure you are comfortable in Churchill's cold temperatures, ask us about winter clothing rentals. We highly recommend you do this early, as availability is limited! Overnights will be spent in a comfortable Churchill hotel. Over the next few days, immerse yourself into Northern life. With your group, you’ll enjoy a thrilling dogsled adventure, snowshoe trek, and wildlife interpretation. Each night, you’ll watch for the Northern Lights from the Tundra Buggy Lodge. 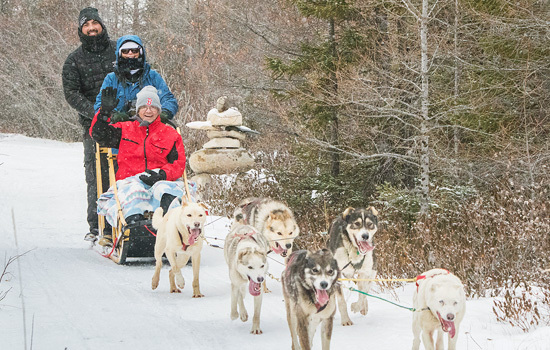 One evening of your stay, you’ll embark on one of Canada’s most unique culinary adventures, as you travel across the frozen Churchill River by Tundra Buggy to enjoy a gourmet dinner. Here you’ll experience stunning cuisine in a clear-roofed pop-up restaurant, under the stars and lights of the northern night sky. 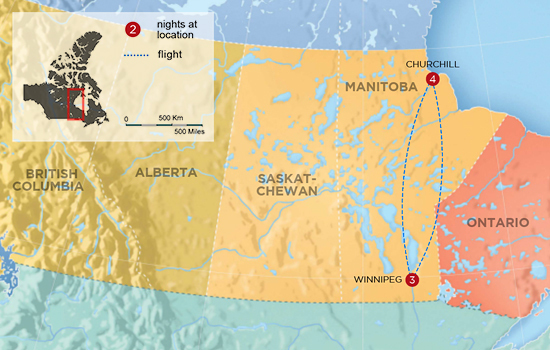 All too soon, you depart from Churchill by air in the afternoon to spend the night in Winnipeg. Depart Winnipeg at your leisure. Where am I staying on this trip? This trip features a sleeper train journey, and you'll get a comfortable private cabin on the train for the duration of your train ride. The trains feature common lounge areas and dining cars where you can socialize with fellow travelers. When not on the train, you'll be staying at various local three to five star hotels or lodges along your route, some of which are very iconic properties with great locations, views and history. All our accommodations are carefully selected by our Canadian Insiders. We'll make sure that wherever you stay, you get the best value and comfort based on the seasonal availability. Typically we include and pre-book all your main trip components so you don't have to worry about your connections, places to stay, or activities on your trip. You'll receive a complete travel package with detailed documentation and our Canadian Insiders remain at your disposal before and during your trip to answer your questions. Can I customize this trip? Your trip can be as rich as you'd like, and completely arranged around your interests and needs. The greatest benefit of working with us is our local knowledge. You can request your personalized trip plan to decide what you'd like to see and do. If your trip is a special occasion, we'll make sure it is unforgettable. Or if you're traveling with a group, we'll take care of the logistics so you can share time together stress-free. What are the best ways to travel around Canada? Canada has a network of spectacular roadways, train routes, ferry crossings, and float planes. We can arrange for you to travel by car or to sit back and relax. What is the train experience like? Because most Canadians typically do not use the train for commuting (as in the US or Europe), the two main rail providers here are driven by tourism. You'll experience the romance of true trans-continental rail travel, with a wide selection of services, accommodation types, and great food. VIA Rail is Canada's national train provider, with routes running Coast to Coast and through remote parts of northern Canada. The type of train depends on your journey, and can vary from the classic trans-continental sleeper trains to daylight trains with overnight stops. Sleeper Trains feature a once in a lifetime adventure of sleeping on the train in comfortable cabins. You can relax in your private onboard accommodations, or enjoy local wines and chef-prepared meals in the dining car during this unforgettable trip. When is the best time to see wildlife? That depends on the destination and type. As a rule, the main feeding and migration seasons are best for wildlife experiences. Tell us which animals interest you and we'll make your trip coincide with the best viewing season. Is this an escorted tour? With the exception of our guided wildlife trips, our vacations are not typically 'escorted.' We combine the best of both worlds – the reassurance of seamless connections, customer service support, and scheduled activities, plus the freedom of 'independent' travel. You are not tied into a specific group, or a rigid daily itinerary. This allows us to personalize your trip to suit your occasion, interests, and timeframe. Will it be cold when I visit Canada in summer? The temperature varies from mild to hot, depending on location. Northern Canada will range between 50°F to 64°F (10°C – 18°C) in summer. The interior of BC, prairies, Ontario and Quebec can reach temperatures around 95°F (35°C). Canada's west coast, mountain regions, and Maritimes enjoy milder summer temperatures. They range on average from 59°F to 77°F (15°C – 25°C). How much does my trip cost? All our trips can be customized to fit your schedule and budget. The price depends on travel season, train service, hotel level, and the sightseeing tours you choose. Request your personalized trip plan and quote which will provide you with a detailed cost estimate. These are the places and experiences to look forward to on this trip. • Fresh Tracks Canada customer service – from the time you book, you are assigned your own personal Vacation Coordinator whom you can reach out to with any questions or requests. Think of this trip as just a starting point. These are some of the experiences you can add-on to personalize your trip. *Upgrade your journey to include a one-way train trip from Winnipeg to Churchill (2 nights) to make this a 10 day trip. Ask your Vacation Advisor for pricing. Prices listed may vary by departure date, hotel class and degree of personalization. Please speak with one of our travel advisors to get a personalized quote. 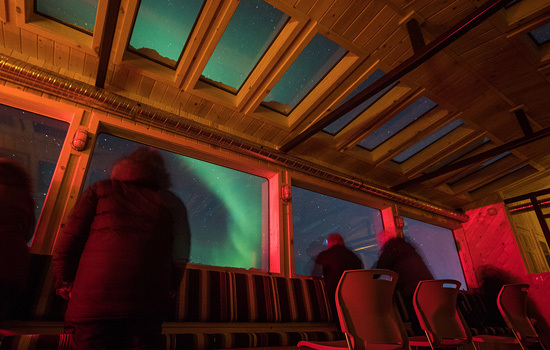 On our northern lights viewing adventures, you’ll have plenty of chances to see the aurora from a prime viewing location. In addition, you’ll likely get a taste of northern life on guided winter activities such as dogsledding and snow shoeing. And to bundle it all together, you’ll stay in cozy accommodations at night. These are examples of this trip's accommodation choices. Please call us for the full list or advice on how to customize your experience. The Tundra Inn is a charming, family run hotel located in the northern town of Churchill. With comfortable, spacious accommodation and complimentary amenities, this is the perfect place to relax before or after your arctic adventure. Your stay includes continental breakfast, free tea and coffee and high-speed internet. Get a trip that covers everything you want to see. Know which places to go and which areas are best during certain times of the year. Have someone local who knows the area to suggest trains, hotels, dining, sightseeing, etc. All our trips can be personalized to match your dates, travel style, and budget. Make the most of your time in Canada with advice from our local Insiders. Feel in control with all the details of your trip organized and booked for you. Start your lifelong love affair with Canada. Sign up for our monthly eNewsletter and get more of everything there is to love about this great country delivered right to your inbox. How long do you have for your vacation? When do you want to come to Canada? What type of trip is this? Anything we can do to make your trip perfect? For example: Add hotel nights in a particular city, do a specific sightseeing activity, etc. Who is this trip quote for? Who is this trip plan for? We’ll connect with you shortly to finalize your personalized trip plan. Otherwise we'll be in touch soon.